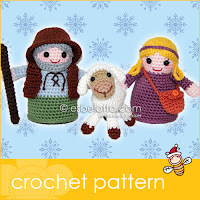 The pattern for the shepherd, girl, and sheep is available in my Etsy shop. The complete Nativity set: "Holy Family", "Three Wise Men", and "Shepherds and Sheep". 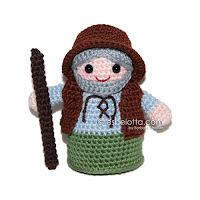 Mister Miller, the Problem Solver! 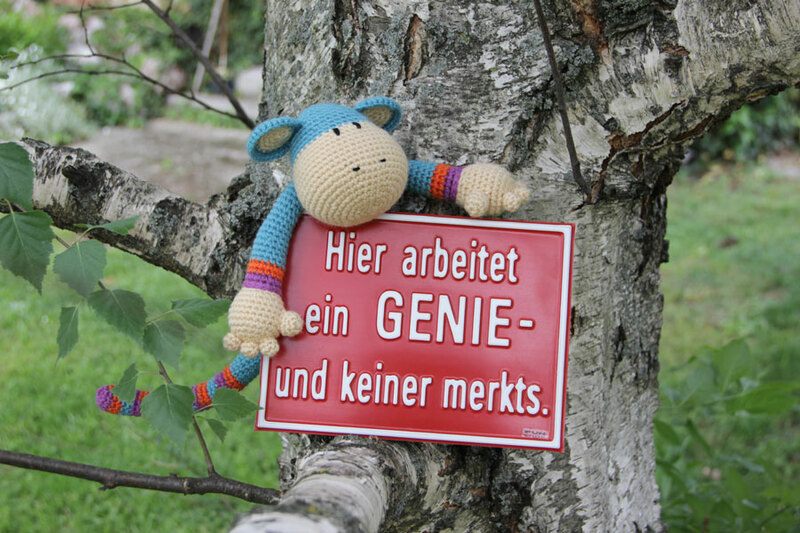 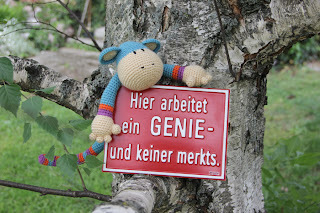 Translation: "A Genius is working here - and nobody takes notice." 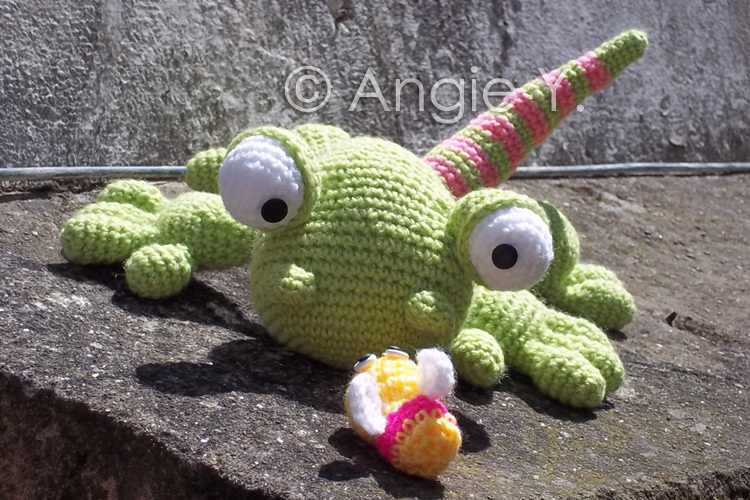 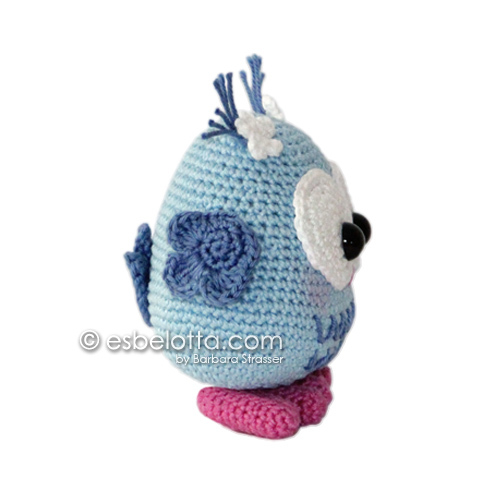 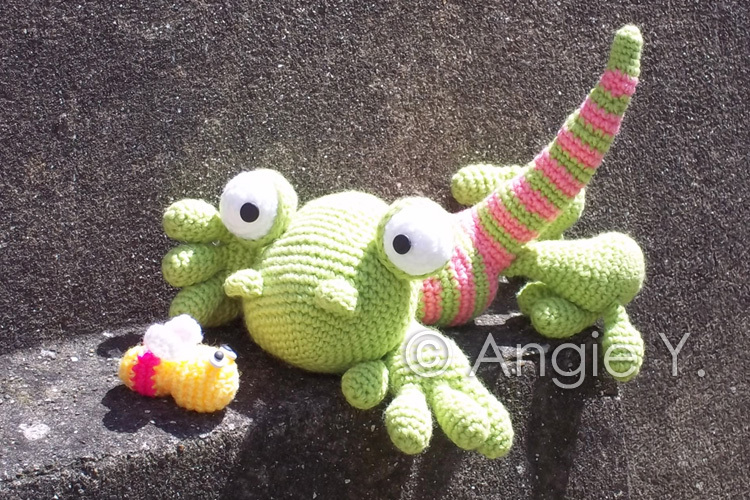 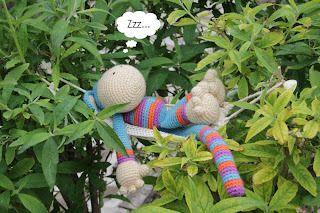 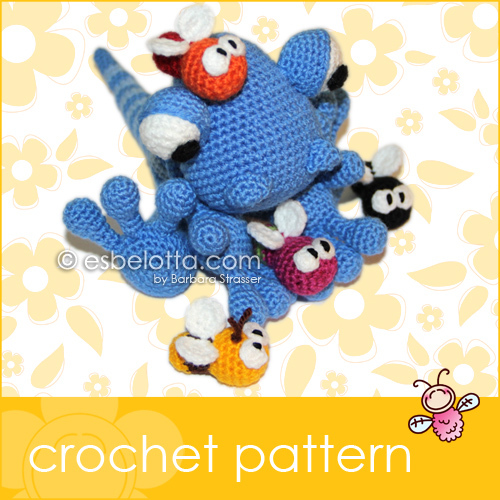 The pattern for the little one is now available in my Etsy shop. 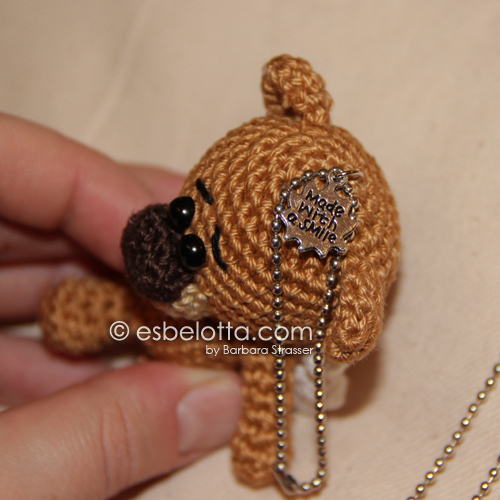 As announced, I gave my little Guardian Bear a pretty bow. 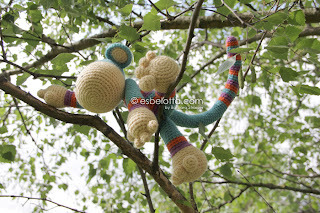 I thought, it should be a crocheted one - and here it is! 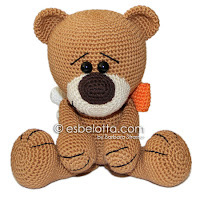 This little Guardian Bear has a big heart that he wants to give to someone special. 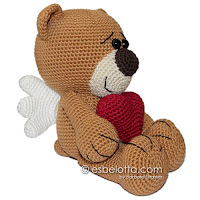 And he will protect this one with love - forever and everywhere! 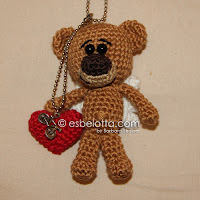 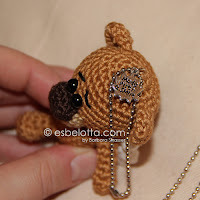 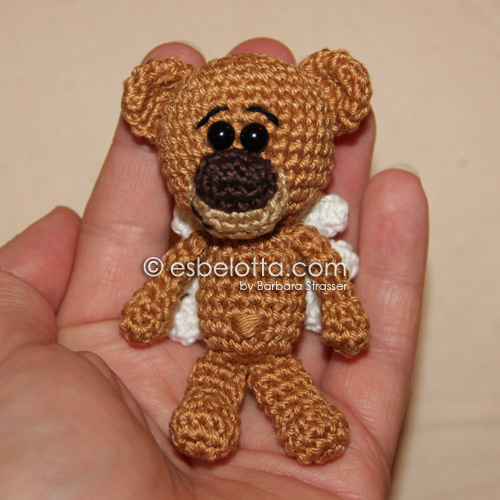 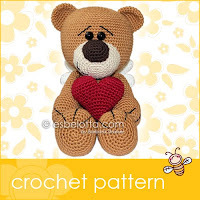 The pattern for this little bear and his heart is available in my Etsy shop. 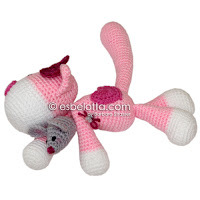 Paul, the Puppy got new friends: Susi, the Kitty and her friend Mousy! 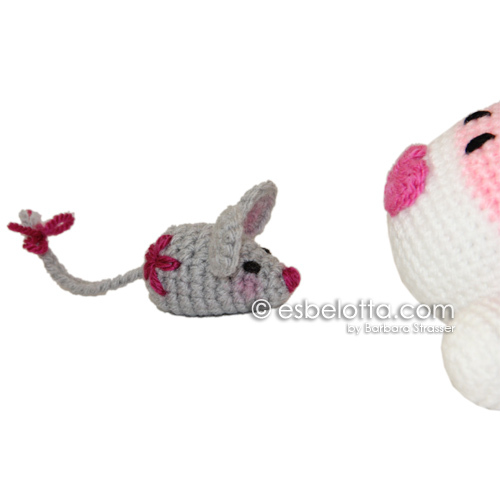 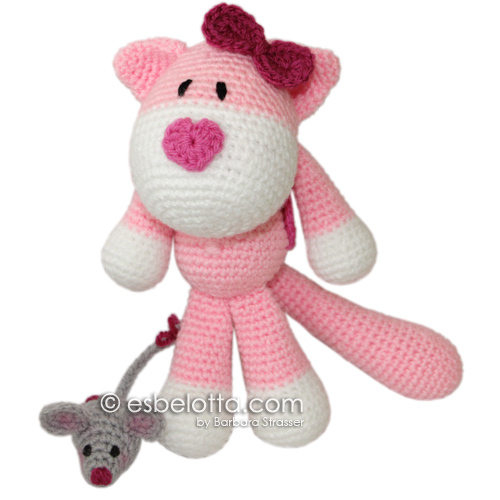 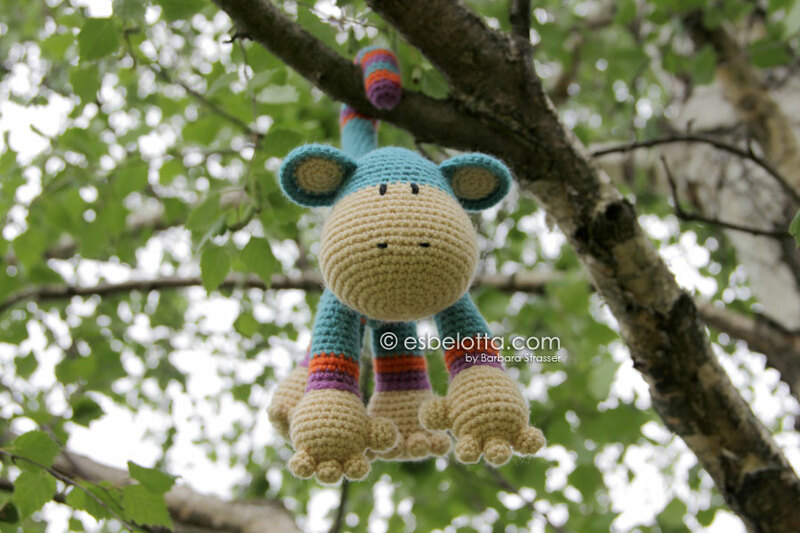 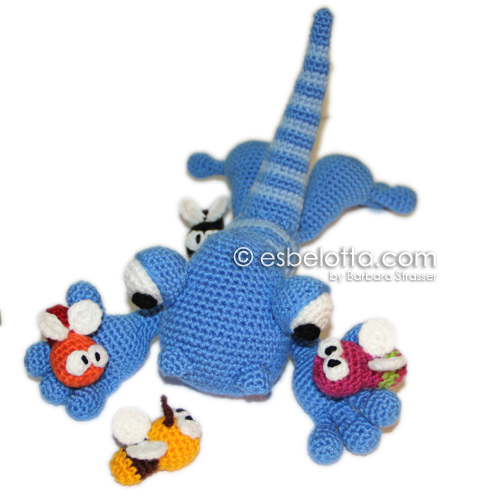 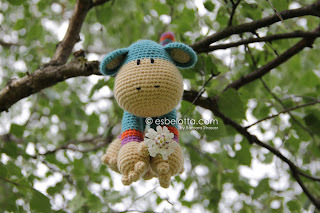 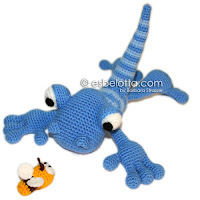 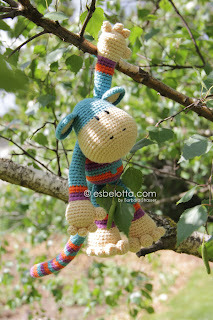 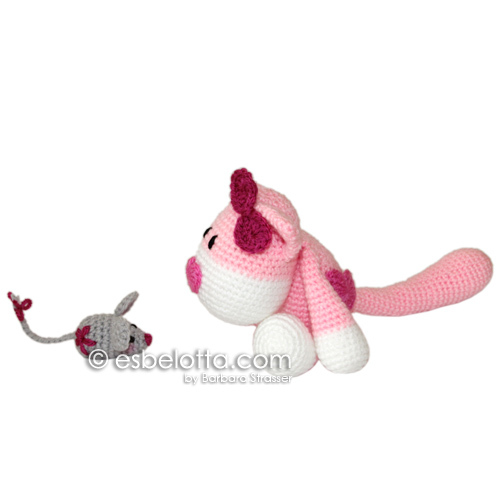 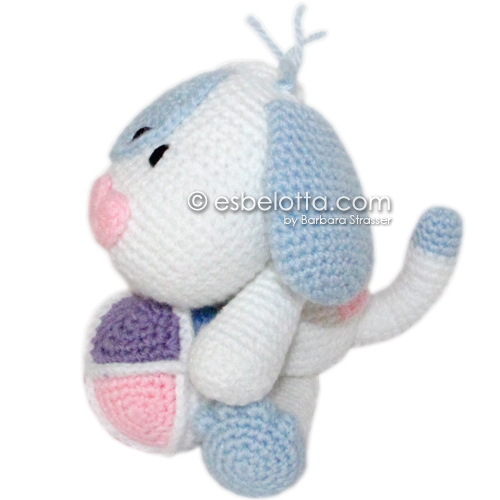 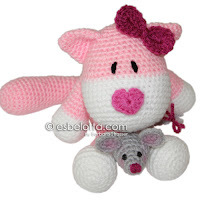 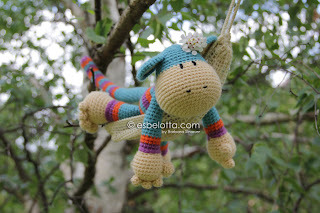 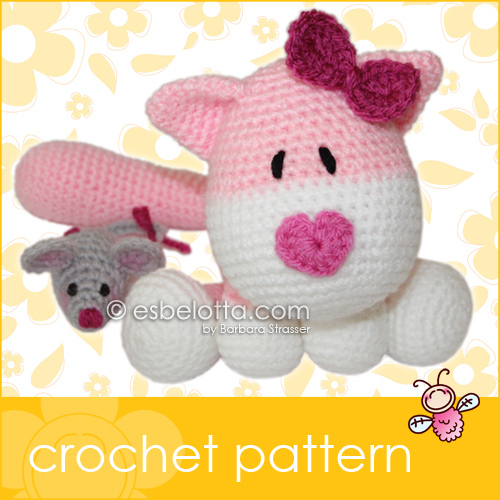 The pattern for Susi and Mousy are now available in my Etsy shop! 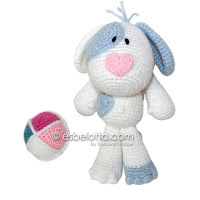 Paul, the Puppy is here! 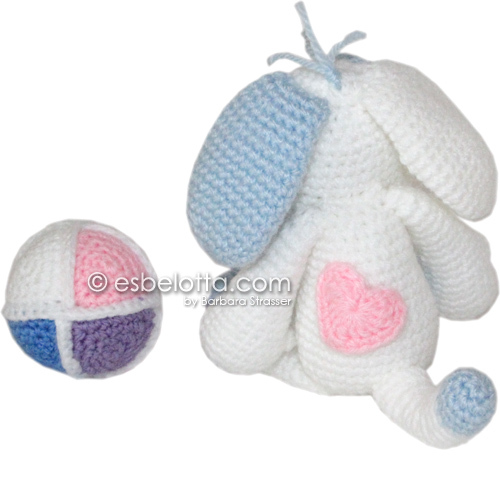 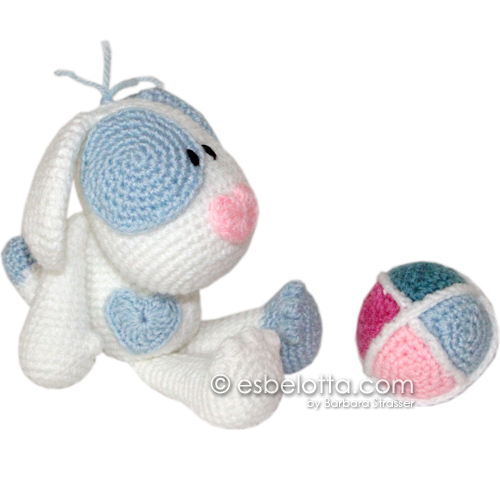 The pattern for Paul, the Puppy and his ball is now available at my Etsy shop! 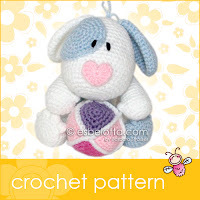 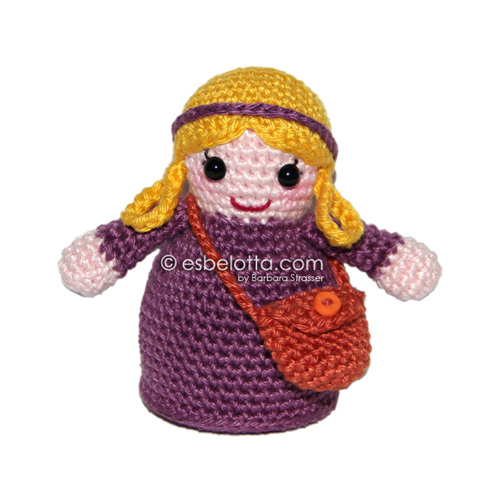 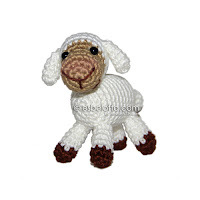 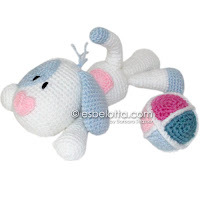 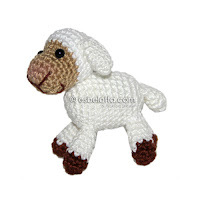 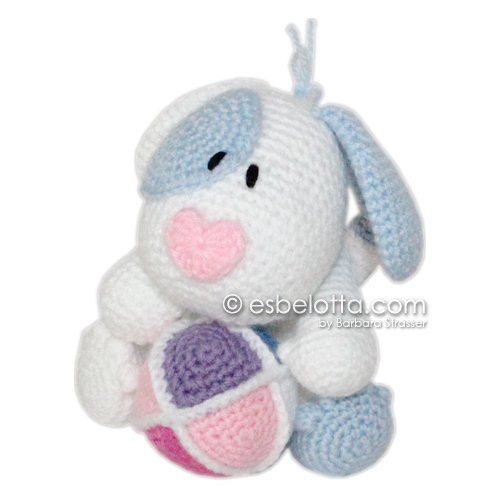 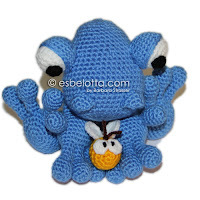 If you have purchased this pattern before March 26, 2012 and want to receive the corrected version, please send me an email! 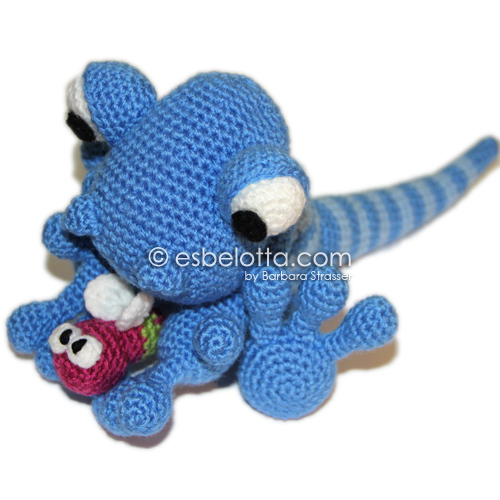 These two little cuties just hopped from my hook - and are waiting to come to your home! 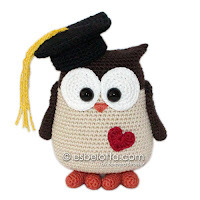 ... And because owls are known for being very wise they bring their own graduation hat. 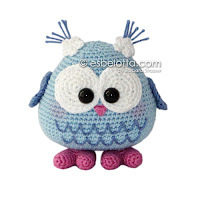 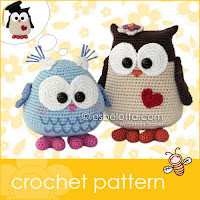 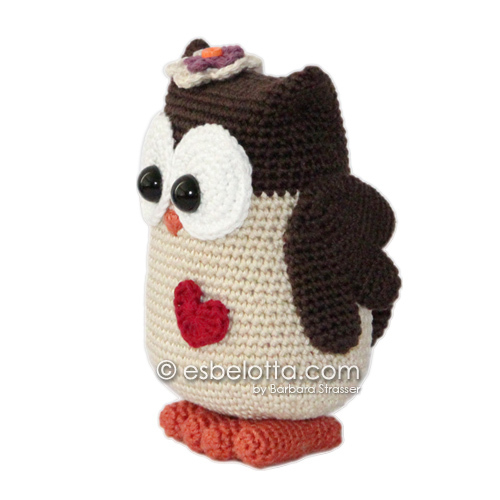 The pattern for "Mama and Baby Owl" (incl. 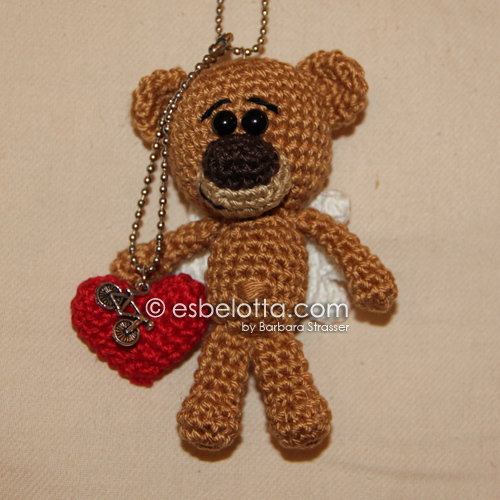 flowers, heart, and graduation hat) are available in my Etsy shop. 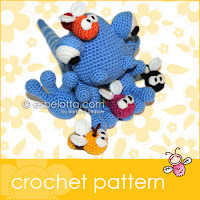 Pattern was tested by Ann (chessie) - you can see her little owls here.